Disclaimer: This is not Sombra! I repeat, this is not Sombra!! So you may ask, why does this pony look so much like Sombra then? It's because poor Radiant here is still under construction. He is the final member of my antagonist team, though he is also the most unwilling to work with them. 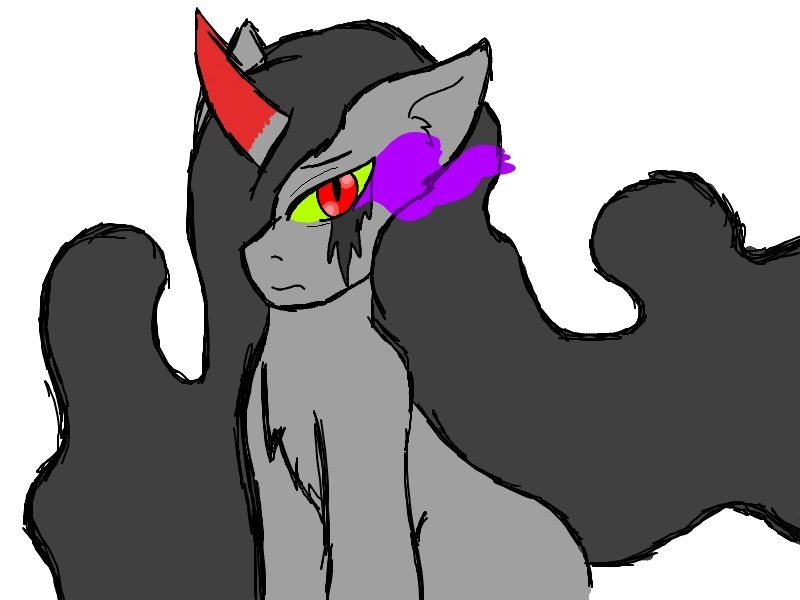 He is a shadow pony, born from the left over magic trapped in King Sombra's horn. His mane is made of shadows and he can hide himself in any shadow draws near. Note: I drew this on Paint.net with my brand new drawing pad so it might not look as nice as other pictures.